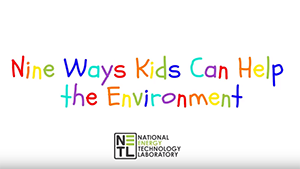 NETL creates short, lively videos on STEM-related topics for kids to enjoy on their own, for parents to share with their children, and for educators to show to their classes. Our most recent videos are shown below. Please take a look! Then keep checking back, because we’re always thinking up new ways to share the awesomeness of science. 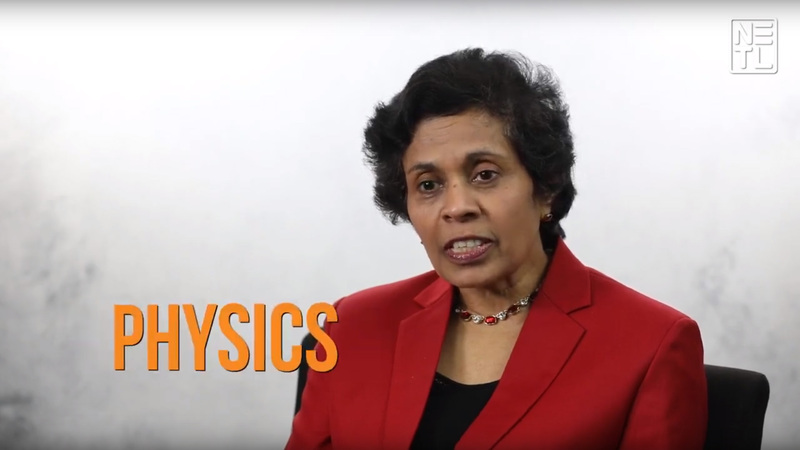 STEM CAREERS: What does senior research scientist Ranjani Siriwardane do? Growing up and attending university in Sri Lanka, Ranjani always knew she wanted a career in science and math. Now with 22 patents and three R&D 100 awards to her name, Ranjani’s work at NETL is making a real-world impact. Learn more here! STEM CAREERS: What does geo-data scientist Jennifer Bauer do? 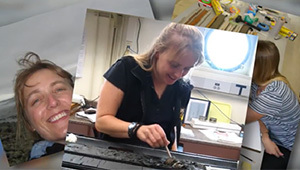 After earning her undergraduate degree in marine biology, Jennifer found herself building skills in data collection, data processing and mapping. Today, Jennifer uses these techniques as part of NETL’s geo-data science team to help with understanding the bigger picture in solving America’s energy challenges. Watch here! STEM CAREERS: What does electrical engineer Michael Buric do? 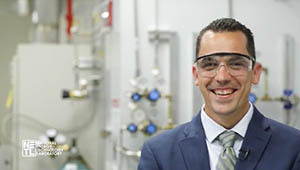 – NETL researcher Michael Buric has always loved experimenting. By the age of 11, he had already built himself a 250,000 volt Tesla coil. 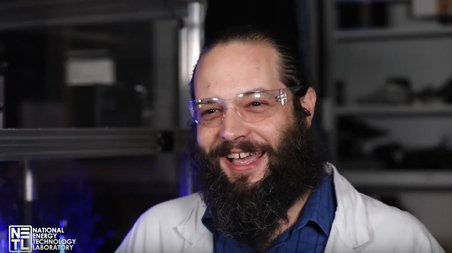 In this video, Mike explains how he harnessed his passion and applies it to energy research. Watch here! STEM CAREERS: What does geo-data scientist Kelly Rose do? – Kelly Rose began her geology journey with a rock collection when she was just 2 years old. 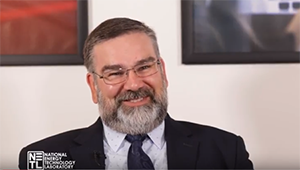 Watch the latest in our STEM careers video series to learn how Kelly went from pocketing rocks to leading cutting-edge geologic research at NETL. Watch here! STEM CAREERS: What does chief information officer Antonio Ferreira do? – Ever hear of “greedy mind syndrome”? NETL’s chief information officer, Antonio Ferreira, has it! Watch the latest in our STEM careers video series to find out what that means and learn how Antonio’s education prepared him for his career. Watch here! STEM CAREERS: What does material scientist Paul Ohodnicki do? – Work hard and love your work. That, says material scientist Paul Ohodnicki, is the key to success. It’s certainly working for Paul. He’s been collecting accolades from his former high school all the way to the White House. Watch here! STEM CAREERS: What does environmental engineer Djuna Gulliver do? – Meet Djuna Gulliver, an NETL environmental engineer who investigates the large impact of tiny things. In this video, Djuna discusses the fluid nature of science and what led her to this career. Watch here! STEM CAREERS: What does environmental engineer Natalie Pekney do? – Environmental engineer Natalie Peckney says, “Don’t be intimidated! 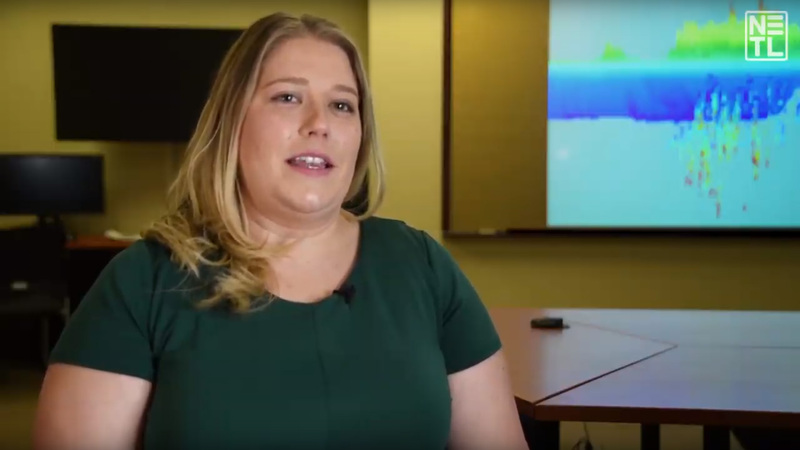 It’s not that hard to be a scientist if that’s what you really want to do.” View this video to find out how former farm girl Natalie ended up solving national energy and environmental problems at NETL. Watch here! STEM CAREERS: What does geochemist Ale Hakala do? – A geochemist AND a champion snowboarder? Yep! That’s Ale Hakala, an NETL scientist who defies limits. Ale is the focus of a this video, which is part of our STEM Careers video series for middle school students. Watch here! STEM CAREERS: What does mechanical engineer Dustin McIntyre do? – What do Superman and NETL’s Dustin McIntyre have in common? They can both look inside rocks! Find out how by watching this video, which is part of our STEM Careers video series for middle school students. Watch here!